You can lose weight fast. 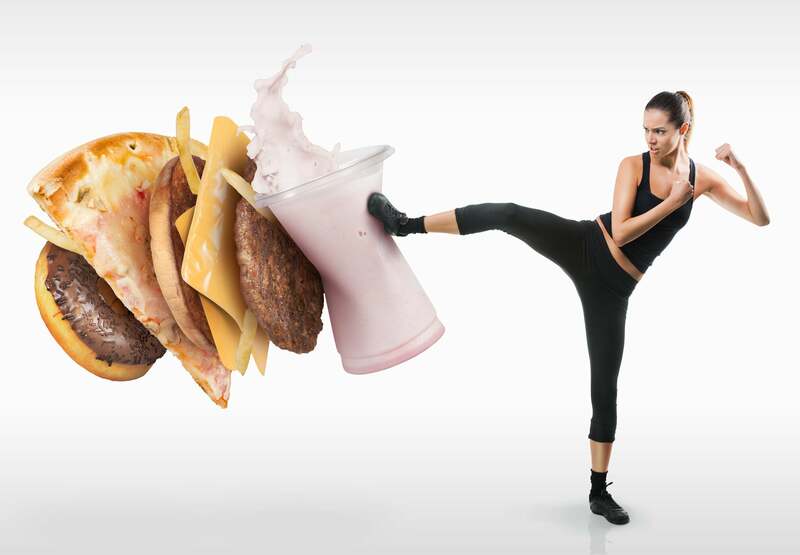 However, many weight loss diet plans can make you unsatisfied and hungrier. Without willpower, hunger can cause you to go back to your old eating habits. The right diet plan can make you quickly shed off weight without hunger, significantly reduce your appetite, and boost your metabolic rate. There are three basic steps to help you lose weight. They include cutting back on starches and sugar; eating protein, vegetables, and fat; and lifting weights three times weekly. To lose weight safely and quickly, you should cut back on starches and sugars. At first, eliminating them might prove to be difficult. However, as you get used to not eating them, you may find that you won’t miss them at all. Starches and sugars stimulate insulin secretion. When the body’s insulin level goes down, fat stores become more accessible as a source of energy. Thus, the body begins to burn fat, and not carbohydrates. When insulin is lowered, your kidneys eliminate excess water and sodium from the body. This reduces water weight and bloat. In the first week after cutting back on carbohydrates, you can lose up to 10 pounds, which include both water weight and body fat. You lower your body’s insulin levels and automatically get to take in fewer calories without feeling hungry. Each meal you have in this weight loss diet plan should include fat and protein sources. It’s also important to integrate low-carb vegetables in your weight loss plan. When your meals are structured this way, you will easily limit your daily carb intake anywhere from 20 to 50 grams. It can also reduce your body’s insulin levels. You can assemble every meal out of a fat source, a protein source, and a vegetable. Protein. Some important protein sources are eggs (pastured or omega 3-enriched); seafood and fish (lobsters, shrimp, trout, salmon, etc. ); and meat (chicken, pork, beef, bacon, lamb, etc.). Consumption of protein can boost your metabolism by 80 to 100 calories daily. Diets higher in protein can also reduce obsessive thoughts on food. Such diets can also cut the urge to have a late-night snack by half, and can make you fuller so you tend to eat around 441 fewer calories daily. Fat. It’s recommended that you eat 2 to 3 meals daily, and add a fourth meal if you go hungry in the afternoon. Do add fat to your diet. Some healthier fat choices include coconut oil, olive oil, butter, avocado oil, and tallow. Coconut oil is considered the best cooking fat as it is rich in MCTs (medium chain triglycerides). It’s more filling than other fats and may slightly boost metabolism. Moreover, new studies show that natural saturated fats do not raise the risk for heart disease. Vegetables (Low-Carb). These vegetables can include cauliflower, broccoli, kale, spinach, cabbage, Brussels sprouts, Swiss chard, zucchini, lettuce, celery, cucumber, and many others. There’s no such thing as going overboard when it comes to low-carb vegetables. You can eat a lot of them without going beyond 20 to 50 net carbs daily. Plus, weight loss diet plans based on vegetables and meat contain all the vitamins, minerals, and fiber you need to achieve optimum health. Physiologically, you don’t have to consume grains in your diet. 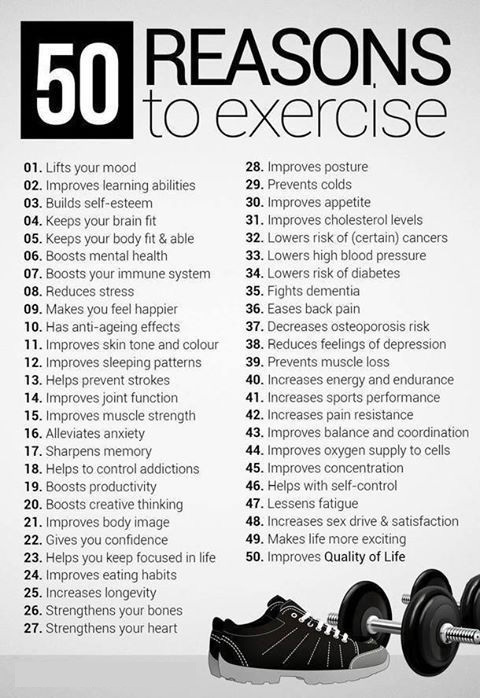 Exercise is recommended if you want to achieve quicker weight loss, although it’s not exactly necessary. You can hit the gym 3 to 4 times weekly. Warm up, lift some weights, and then stretch. If you’re a gym newbie, get advice from a trainer. When you lift weights, you get to burn calories and prevent metabolism slowdown, which is a usual weight loss side effect. Research on low-carbohydrate diets indicates that you can gain muscle while significantly losing body fat. If you’re not comfortable doing weights, work on easier cardio like jogging, running, walking, or swimming. In the beginning, you may be tempted to go back to eating carbs. Fortunately for you, this weight loss diet plan has integrated an optional diet ‘day off.’ If you’re resolute on losing weight fast, you can skip this day. If you want to eat carbs, the best day to do so is Saturday. The carbs involved are not refined like white bread or white sugar. You are encouraged to eat healthier carb sources like fruit, sweet potatoes, potatoes, quinoa, rice, oats, and many others. It’s important to only eat carbs just once a week. If you do it more often, this diet plan may not succeed. If you want to consume a cheat meal, do it on the day off. Eating carbs or cheat meals is not needed, but they may regulate thyroid and fat-burning hormones, an example of which is leptin. While you could gain a few pounds on your diet “day off”, most of the weight is water and you will lose it in the following days. No fruit juice and sugary drinks. They are fattening as they contain lots of sugar. You may only consume them during your diet “day off”. Consume soluble fiber. Research indicates that soluble fibers can help eliminate fat, especially in the abdominal area. You can also take glucomannan, which is a fiber supplement. Drink tea or coffee. If you’re a regular drinker of these beverages, drink as much as you need. The caffeine in them can raise your metabolism by 3 to 11%. Drink water 30 minutes before your meal. Studies indicate that drinking water before meals increases by 44% the weight loss process in over three months. Choose to eat foods that are weight-loss-friendly. 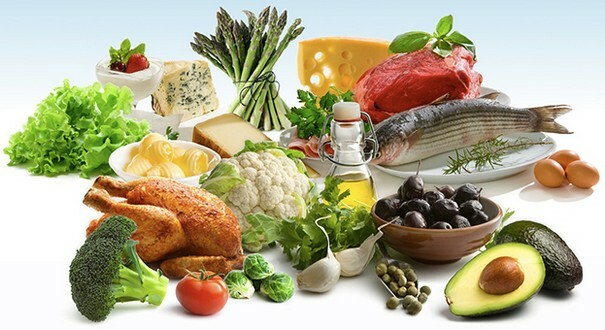 These fat-loss-encouraging foods include whole eggs, leafy greens, salmon, cruciferous vegetables, chicken breast and lean beef, boiled potatoes, tuna, legumes and beans, cottage cheese, soups, avocados, nuts, apple cider vinegar, chili pepper, grapefruit, fruit, coconut oil, chia seeds, and full-fat yogurt. Eat unprocessed food (mostly). Base majority of your diet on unprocessed foods. They are less likely to lead to overeating, and they are healthier and more filling. Chew food slowly. Over time, those who eat fast gain more weight. If you eat more slowly, you’ll feel fuller and the process helps boosts hormones responsible for weight loss. Sleep. Sleeping adequately is important, as poor sleep is one of weight gain’s biggest risk factors. Use smaller plates. Research indicates that people tend to eat less if they utilize smaller plates. Do this and you lose unwanted weight faster. Talk to your primary doctor before you embark on this weight loss diet plan or any other diet plans. By lowering insulin levels and reducing carbs, you alter the hormonal environment and make your brain and body “want” to get rid of weight. The eating plan leads to reduced hunger and appetite, eliminating the reason that most individuals fail with traditional weight loss procedures. Compared to the conventional calorie-restricted, low-fat diet, this can lead to greater weight loss (by about 2 to 3 times). Simplicity and Determination can Give You Flat Abs!